Yesterday, I sent a letter to Secretary of Veterans Affairs Eric Shinseki following reports that the Department conducted two extravagant training conferences last year, costing taxpayers more than $5 million. I requested a detailed explanation of the funds spent on these conferences, as well as the results of the VA Inspector General’s investigation and demanded that the VA hold those who organized and approved the spending for these conferences accountable. I also asked Sec. 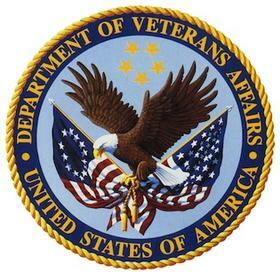 Shinseki to review the purchasing authority guidelines of the VA, and to put in place safeguards and additional oversight capabilities to ensure this does not happen again. I am deeply troubled by recent reports that the Department of Veterans Affairs (VA) conducted two extravagant and excessive training conferences last year at a cost of more than $5 million. Such spending is an affront to both the veterans who rely on your Department for assistance and to all U.S. taxpayers whose hard-earned dollars went to waste on unnecessary expenses. According to these reports, approximately 1,800 VA employees attended two conferences in Orlando, Florida, last summer. Emerging details highlight some of the waste involved, which included $84,000 spent on promotional items such as pens and highlighters, as well as $52,000 for the production of a short parody video shown to conference attendees. This situation is an insult to the hundreds of thousands of veterans whose claims for benefits are mired—sometimes for years—in a growing backlog that is often attributed to overwhelmed VA staff and the need for additional resources. It is an insult to Wounded Warriors who have returned from Iraq and Afghanistan and whose service demands every ounce of support the VA can provide as they recover from their injuries and adapt to civilian life. And it is an insult to veterans across the nation who wait in long lines for medical care and services at VA hospitals and clinics that are overcrowded and in desperate need of expanded facilities, personnel, and services as the newest generation of veterans enter the VA system. As a result, I call on you to publicly release a detailed explanation of the funds spent on these conferences, as well as the results of the VA Inspector General’s investigation of this situation. Furthermore, I demand that you hold the VA officials accountable who were responsible for organizing these conferences and approving this spending. Finally, I ask you to review the purchasing authority guidelines of your Department and put in place safeguards and additional oversight capabilities that will ensure such flagrant waste is never again permitted.